We finally got a pile of wood some of wich was suposed to be already split but it needed more splitting. So the fall labor of hauling splitting and stacking wood began. 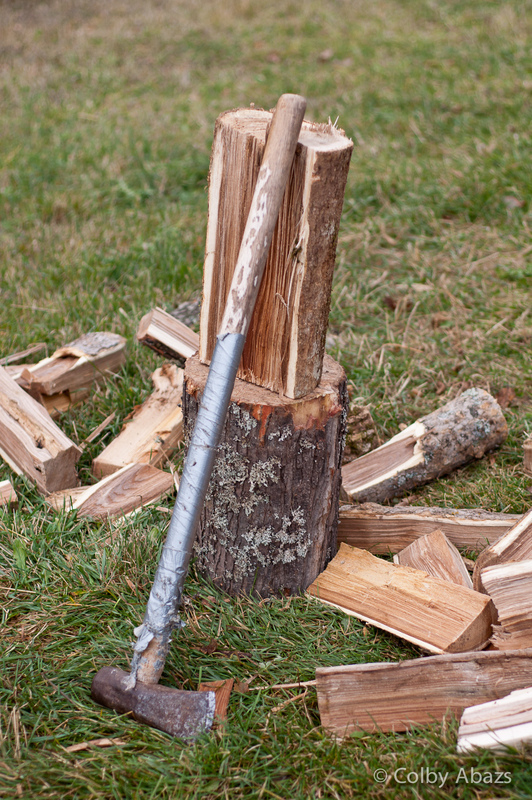 I like this photograph because it shows multiple different elements of the wood splitting process. There is the axe the bigger and heavier the head the easier. The chopping block just a nice flat log from the pile. The partly split log sitting ready and waiting. And finally the split chunks laying on both sides. The one thing that is missing is that we actually did this on time and before the snow came.